Chukachida Protected Area provides important wildlife habitat to moose, grizzly bears, caribou and several fish species. It is a key wildlife corridor, providing connectivity to high value habitat in adjacent areas. Recreation opportunities include moose hunting and fishing in the wide u-shaped valleys in this protected area. A Letter of Permission is required for individuals or groups who wish to use horses within Chukachida Protected Area. To obtain a Letter of Permission, please contact the BC Parks Stikine Area Office at (250) 771-4591. If there is no answer, please leave a detailed message stating your request for a letter of Permission, your name, contact information and the date you wish to visit the park. BC Parks will return the call as soon as possible. 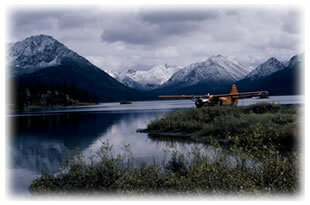 Only permitted air charter companies are authorized to fly into Chukachida Protected Area. Chukachida Protected Area encompasses an area along the Chukachida River, a tributary of the Stikine River. Access to the park by jet boat is possible for the first 13 km along the Chukachida River from the Stikine River. Canoeing or kayaking is also possible, as is air access via float plane. Hunting is permitted within Chukachida Protected Area. Please refer to current BC Hunting Regulations for seasons and bag limits. Fires should be used sparingly, as they are among the most serious visual impacts in the backcountry. Always carry a stove; use it for most if not all of your cooking needs and only build a fire when it is safe and will not cause further damage or deplete wood supplies. While campfires are allowed and campfire rings are provided at each campsite, we encourage visitors to conserve wood and protect the environment by minimizing the use of fire and using campstoves instead. Please check for campfire bans and the Fire Danger Rating for the area you are visiting before igniting a fire in the backcountry. Limited burning hours or campfire bans may be implemented. To preserve vegetation and ground cover, please don’t gather firewood from the area around your campsite or elsewhere in the park (this is a ticketable offence under the Park Act). Dead wood is an important habitat element for many plants and animals and it adds organic matter to the soil. For more information on campfires in the backcountry, click here.